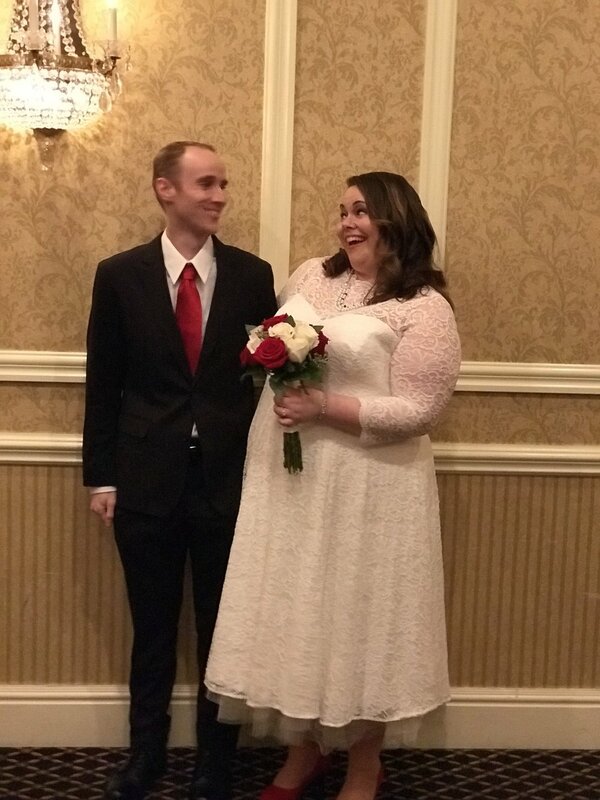 Thank you for visiting our wedding page! 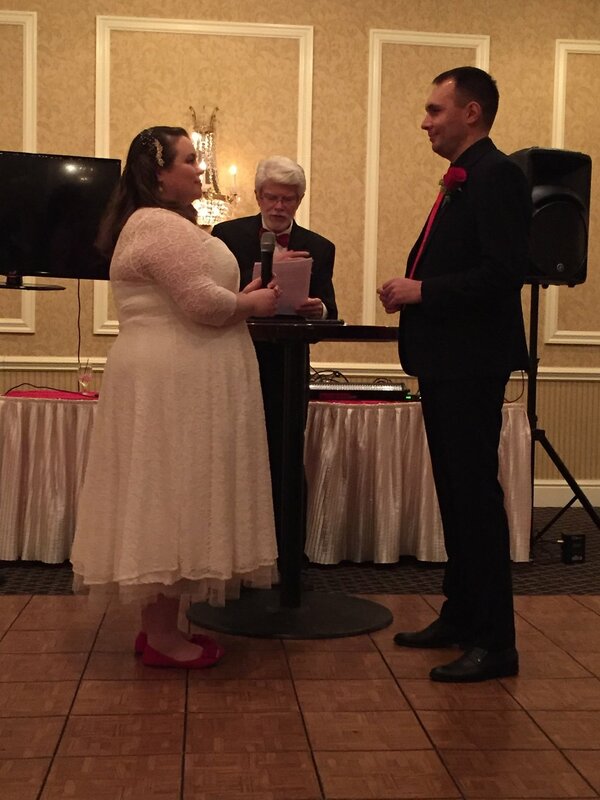 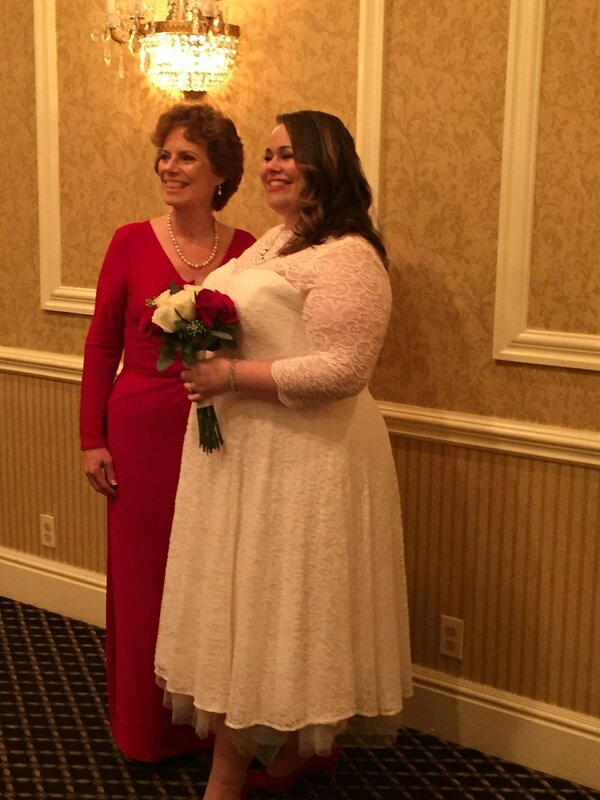 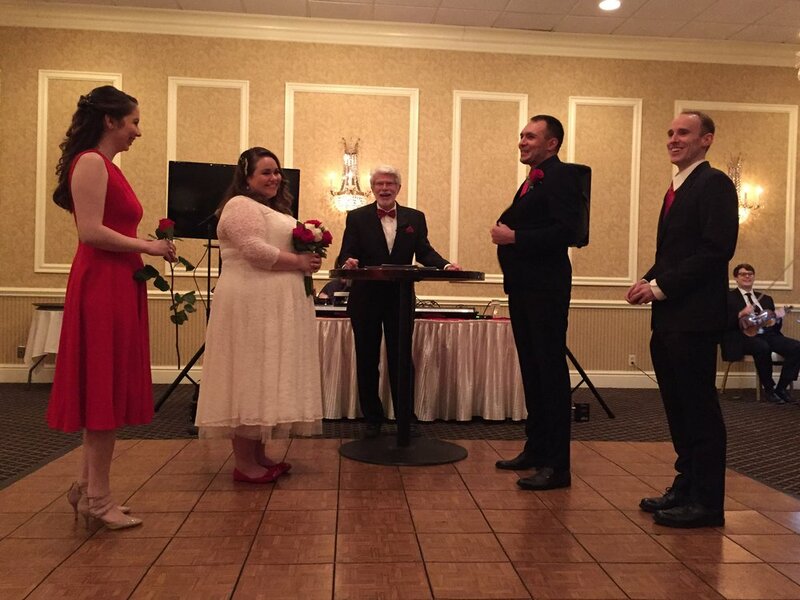 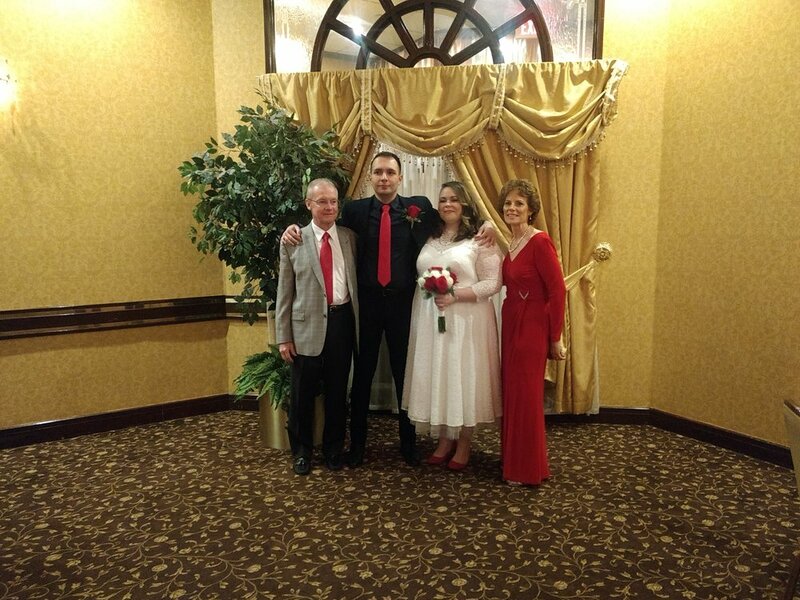 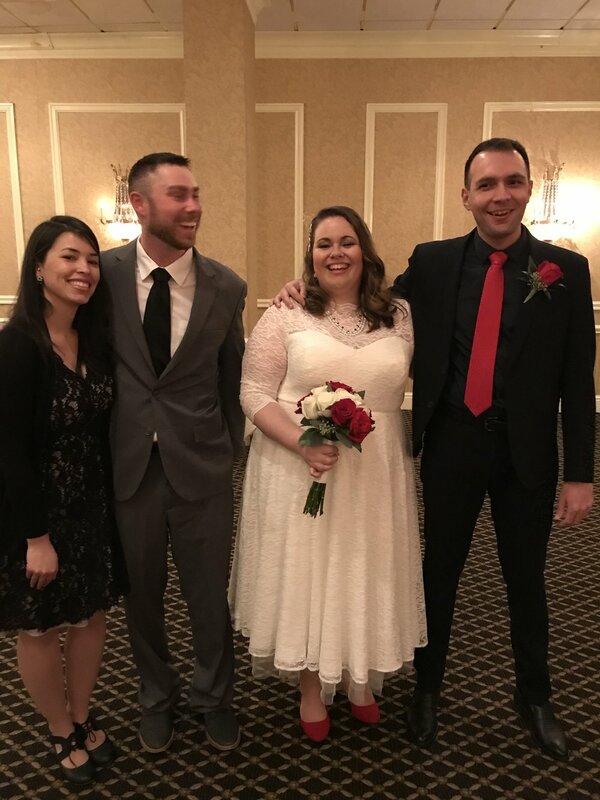 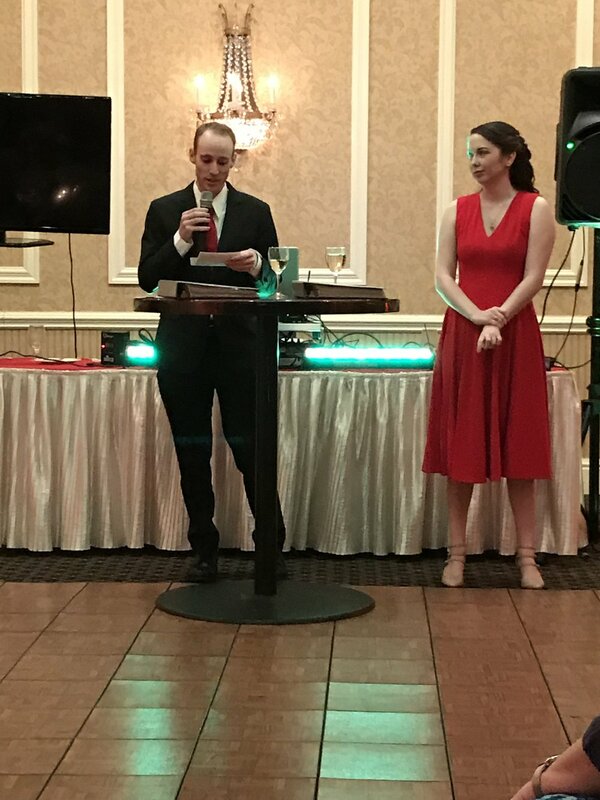 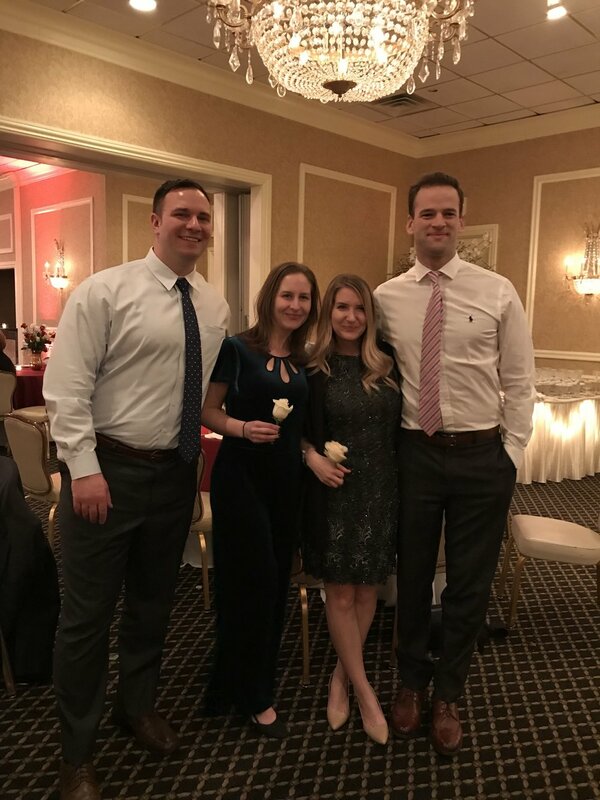 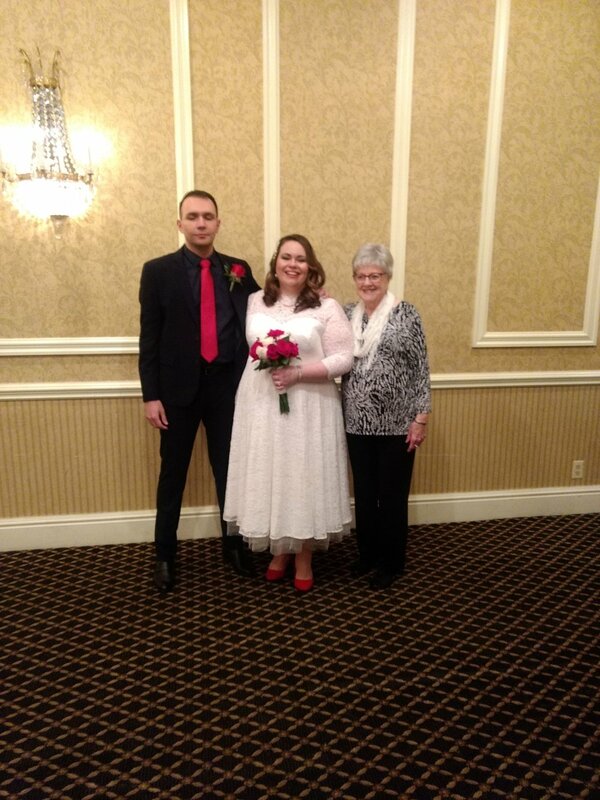 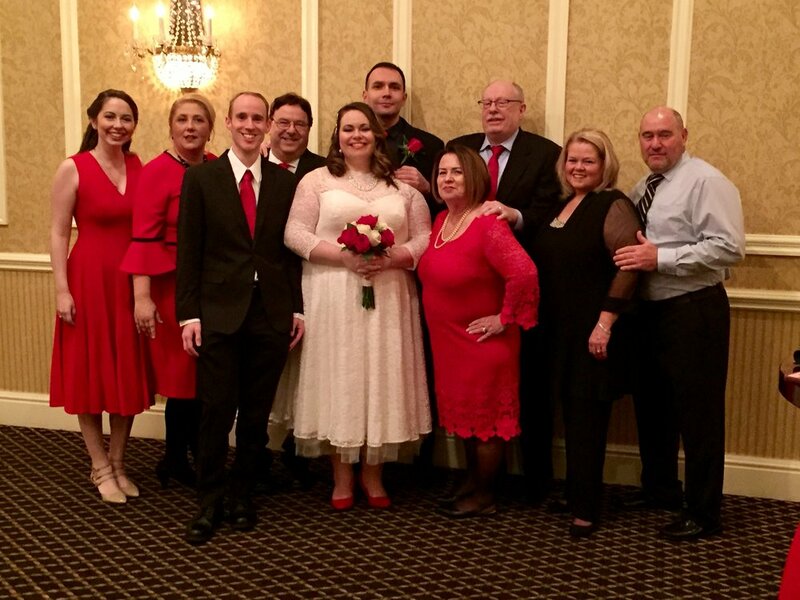 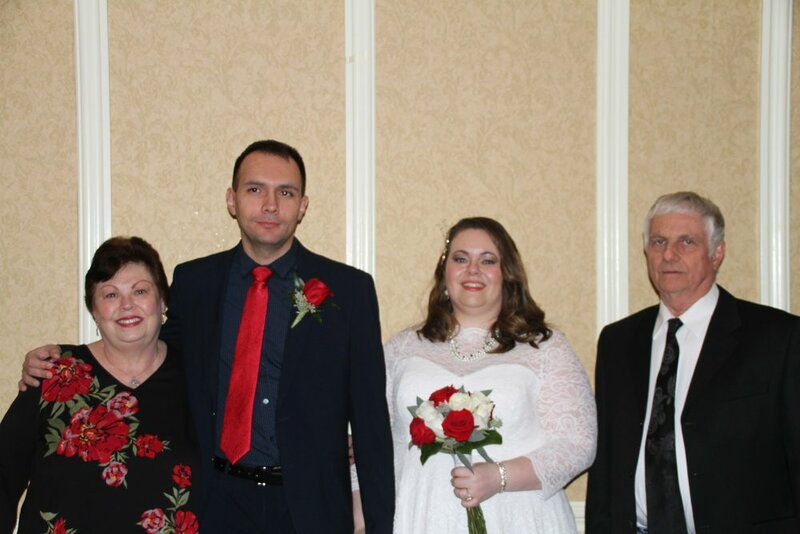 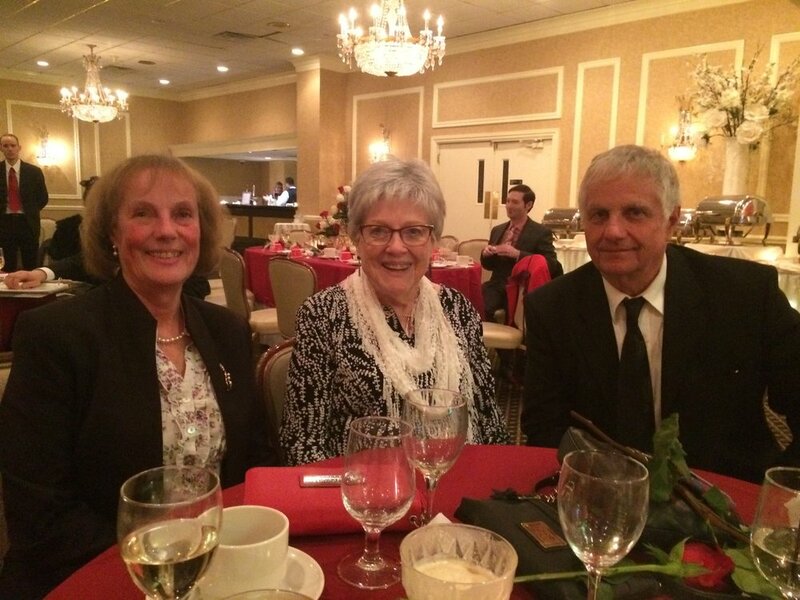 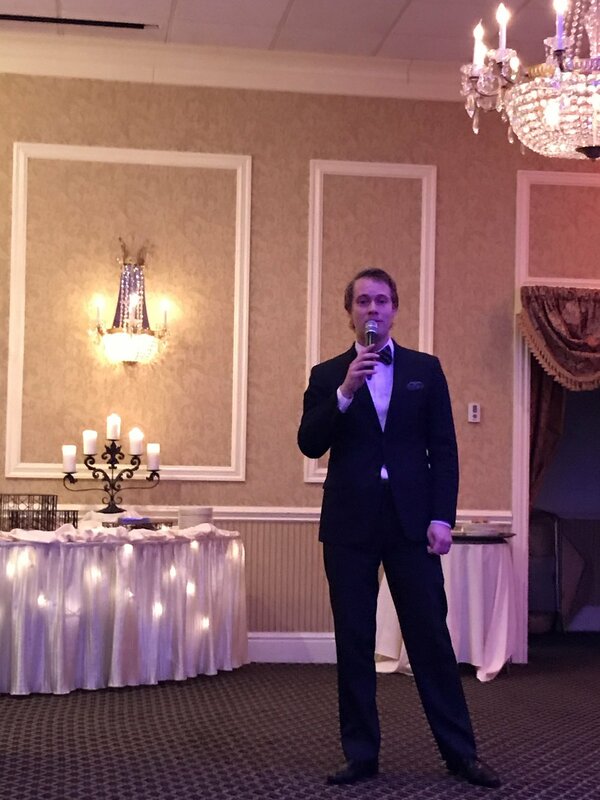 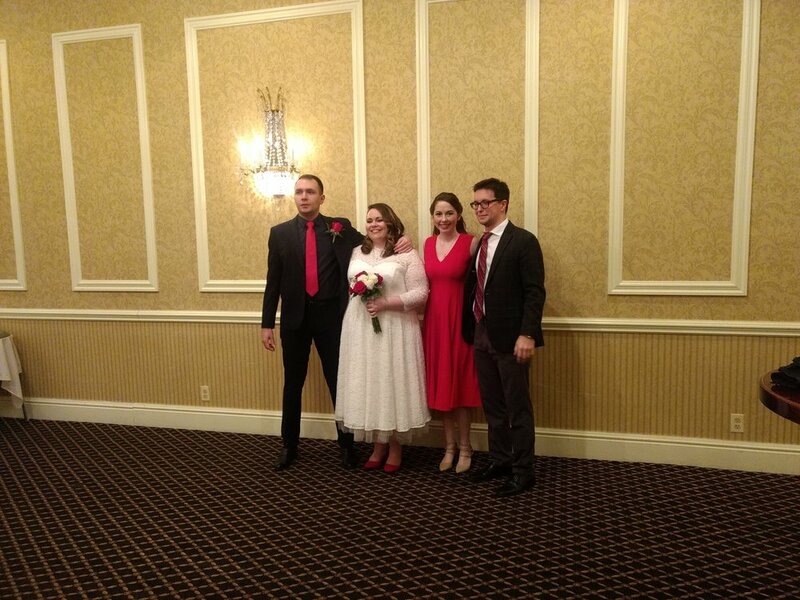 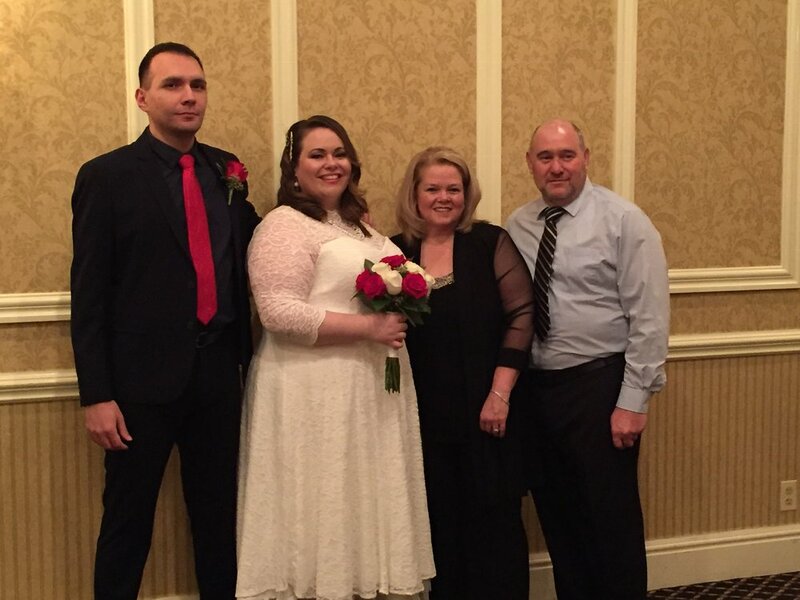 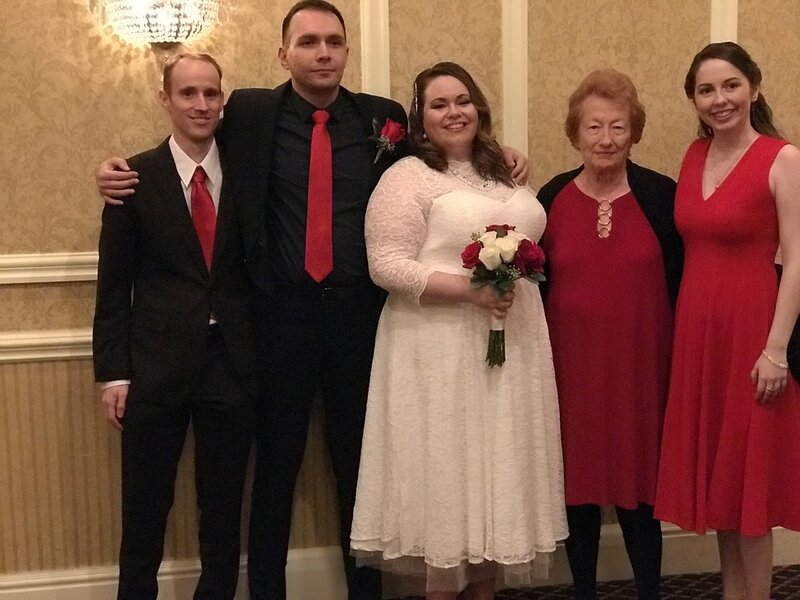 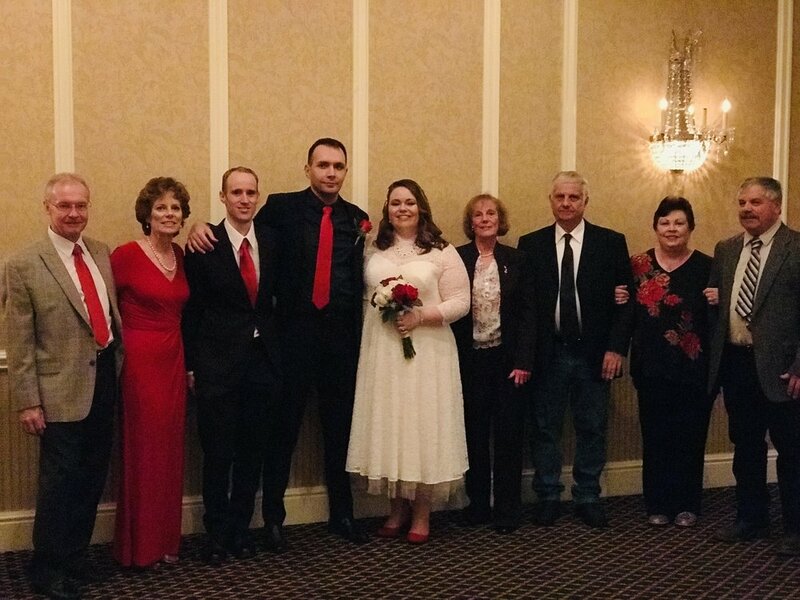 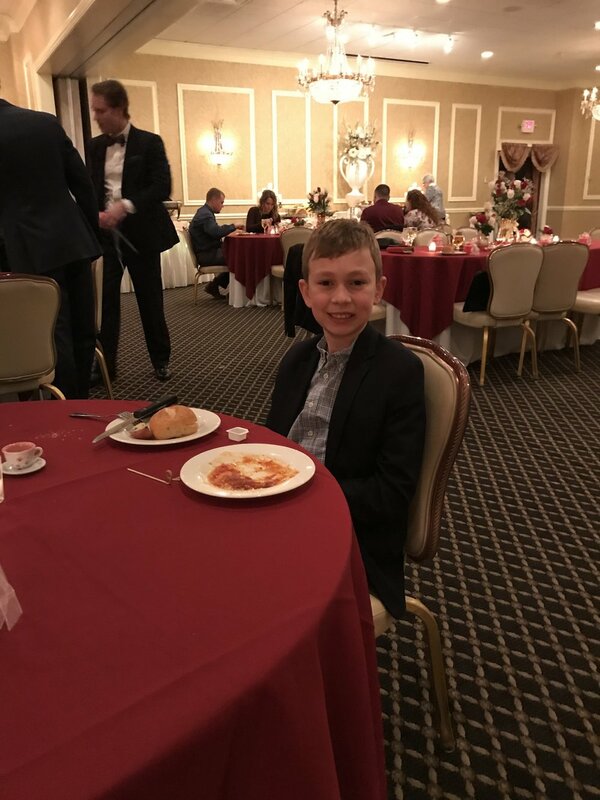 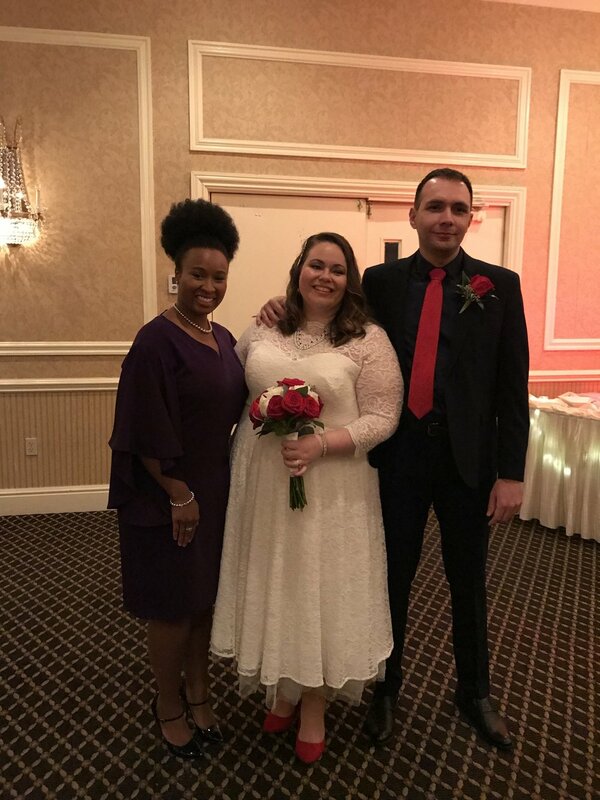 On January 5, 2019, over 50 family members and friends gathered in Poughkeepsie, NY to celebrate with us. 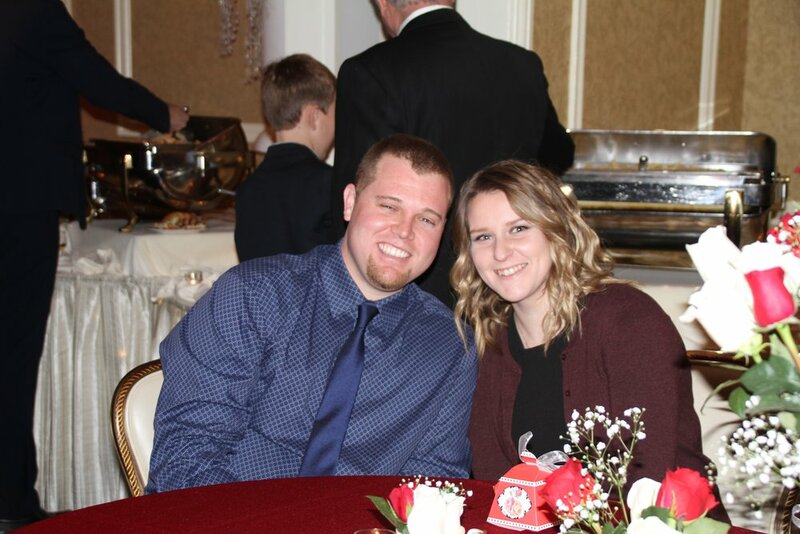 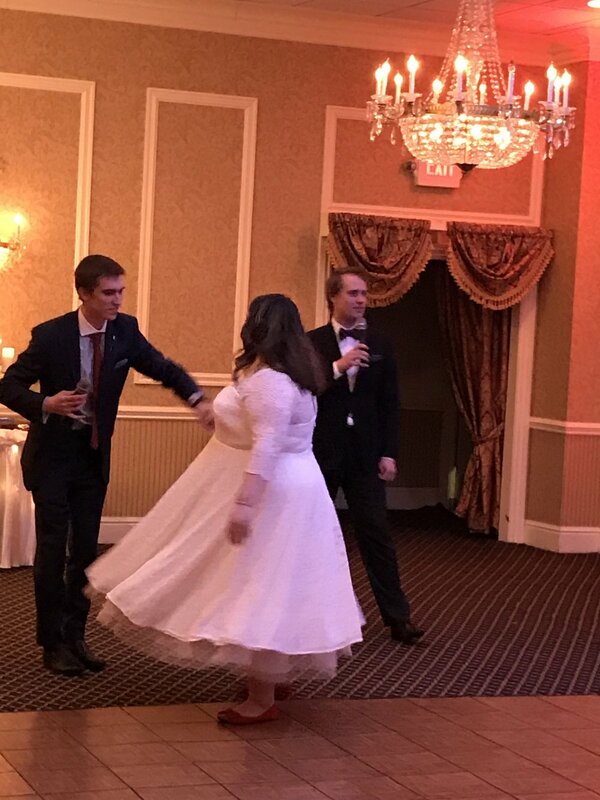 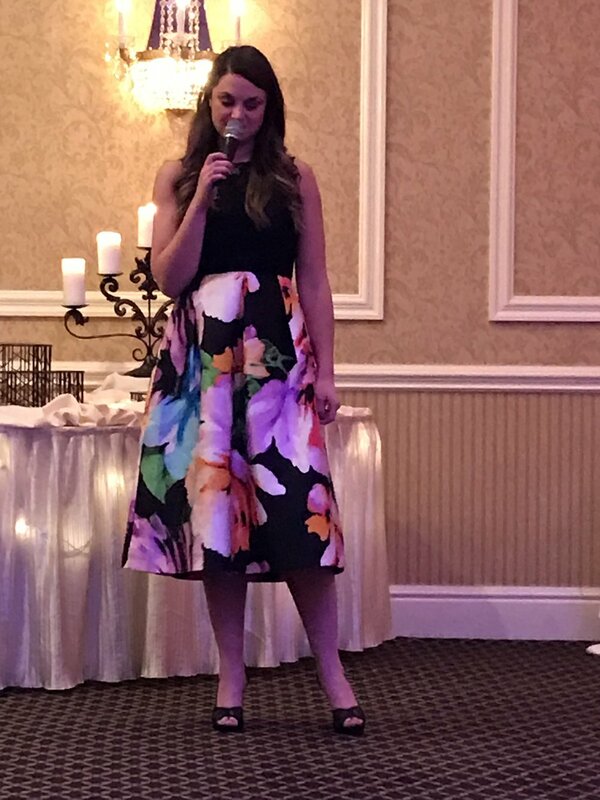 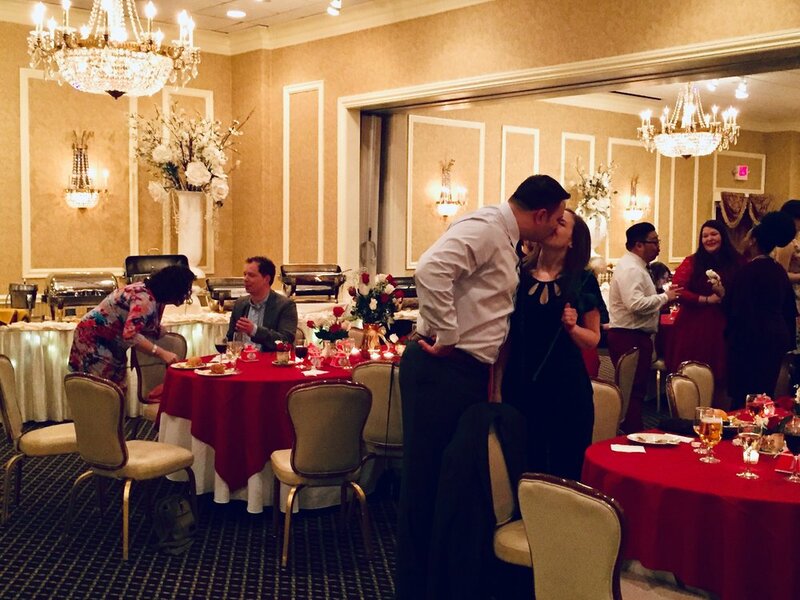 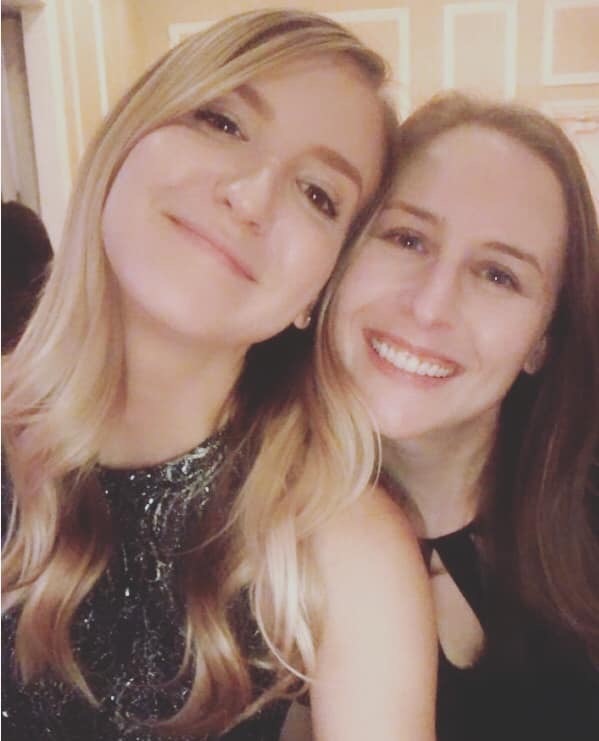 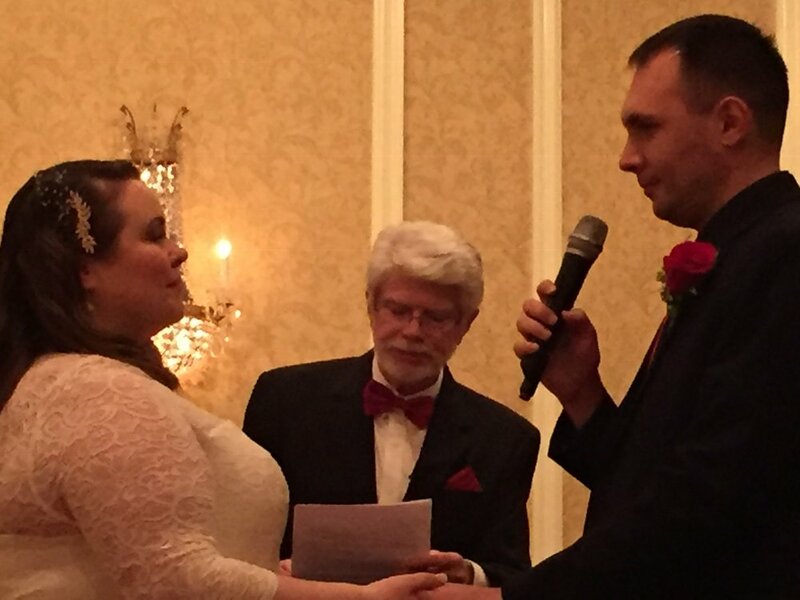 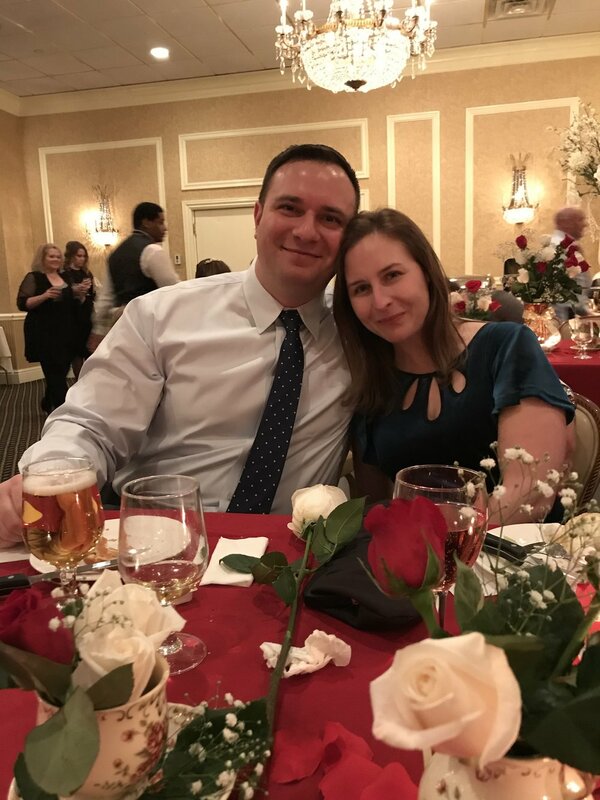 It was an exciting and elegant evening with a mix of traditions, a bit of whimsy, lots of love, music, laughter, tears of joy, delicious food, and so much fun! 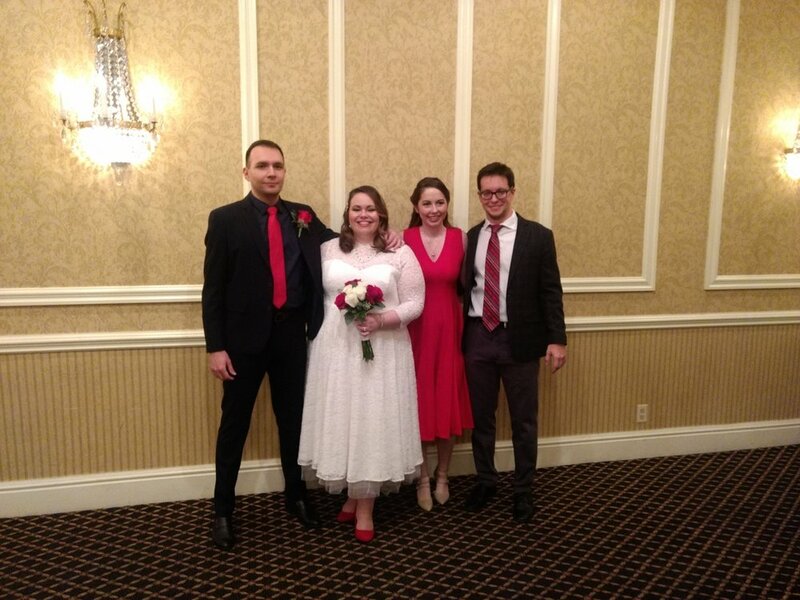 Guests dressed in their favorite 50’s inspired tea party attire. 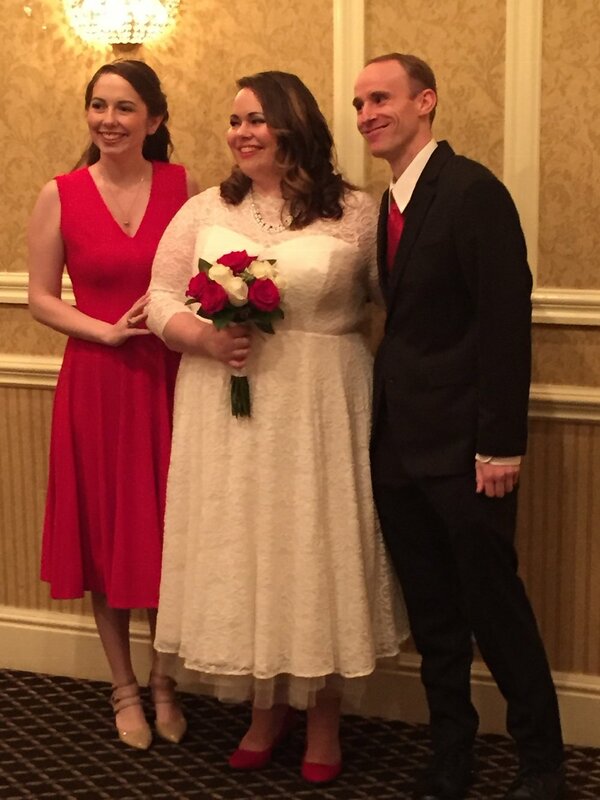 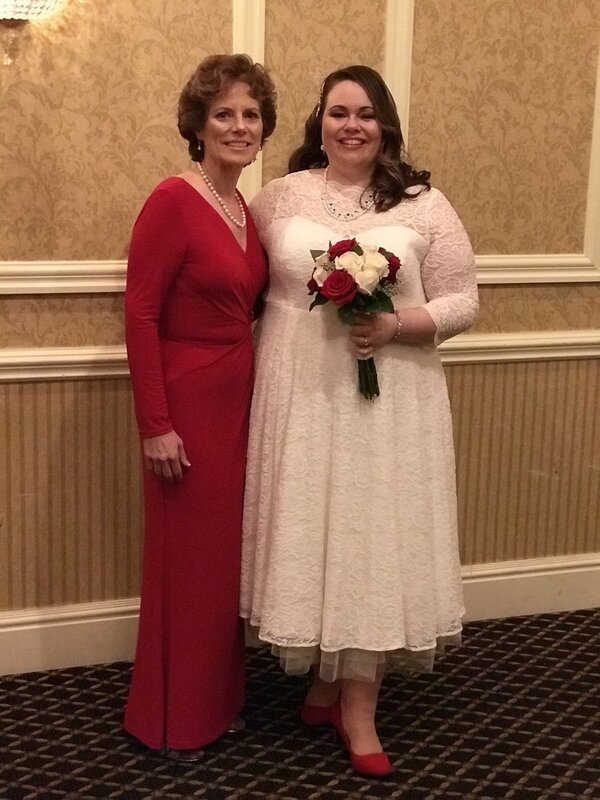 The color red celebrated love and good fortune, floral patterns for springtime (wishful thinking for this winter wedding!) 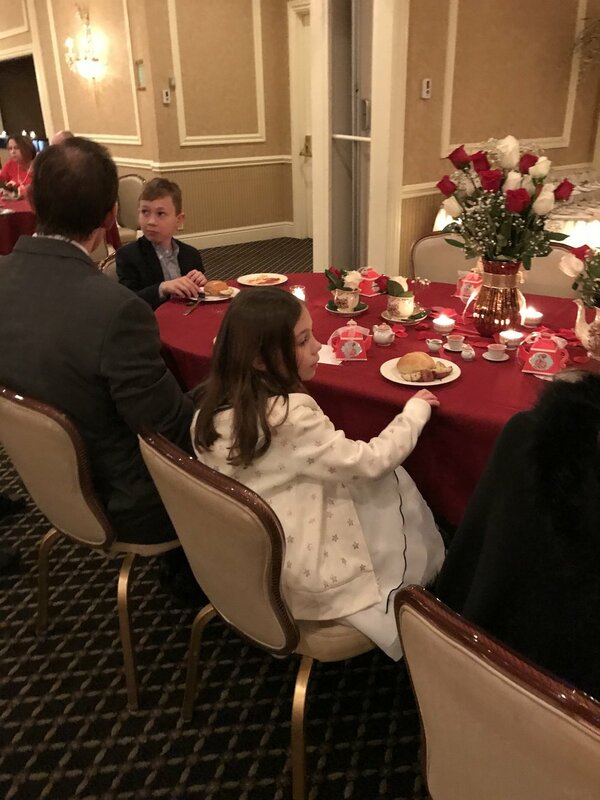 pearls, lace, all to put us in rose garden tea party mood! 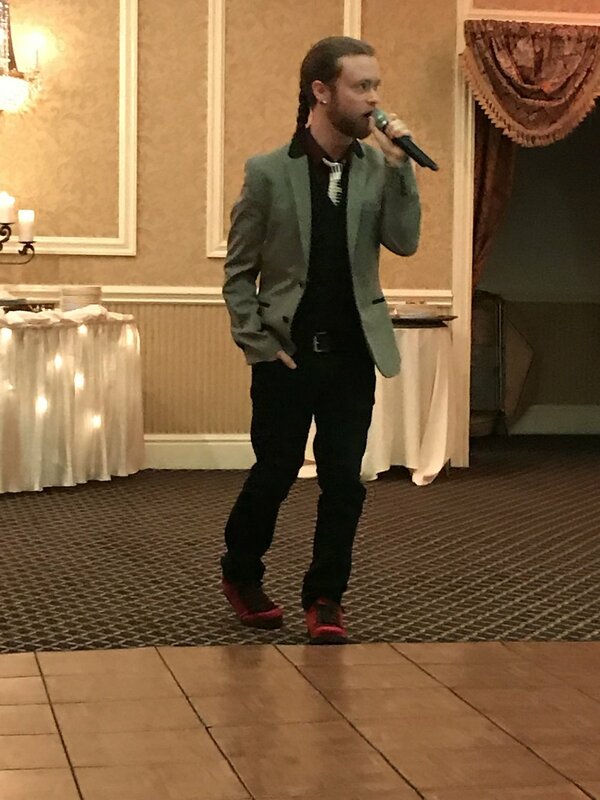 and Karaoke with Mad Mike Entertainment.